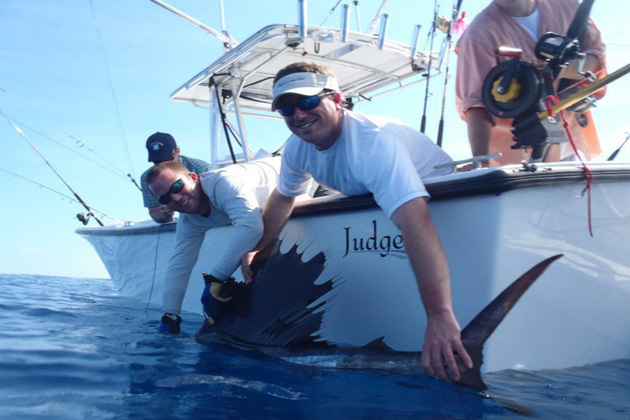 At Judge Yachts, we take fishing seriously. In fact, we've spent our entire lives doing it and thinking about ways to improve the boats we use to do so. Our fishing boats are designed from the keel up with one thing in mind- getting you to and from the fish in the most comfortable, safe and technically advanced boat possible. And because we are a custom builder, we work with you in order to ensure that the boat we build you reflects your needs and desires as a fisherman. From 22' to 42' we have a boat for every angler.